Eatyard will be filled with Festive food vendors serving up Christmassy delights. We’ll have Box Burger, Lucky Tortoise, Meltdown, Flamin Marvellous bratwurst & The Big Blue Bus. Our Winter Warmers bar will be in full swing with mulled wine & hot whiskeys to heat you up during your cozy chats & catch-ups around our wood burning stoves. Explore your adventurous side with The Schweppes Alchemy bar serving classic and festive cocktails. There’ll be pop-up craft fair & farmer’s markets every Saturday & Sunday 12-5pm. 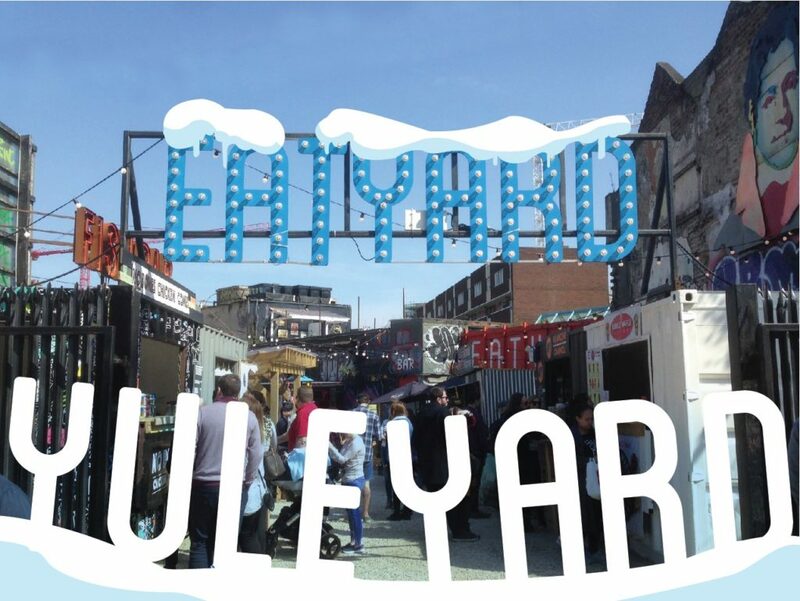 The Eatyard Stage curated with crafting workshops, foodie demos & tastings programmed throughout and some surprise announcements to come! Not to forget festive Christmas films & Live Music to have yourself a Merry Little Christmas. Tables can be booked for lunchtime or evening time Thursday to Sunday. We cater for all group sizes. We have a voucher system that caters for groups of ten or more. These can be prepaid for in advance and are also redeemable in The Bernard Shaw and the Big Blue Bus attached to The Eatyard. Eatyard is also available for private hire from Monday to Wednesday. Anything from a Festive party to a brand activation, Eatyard is a unique space in the heart of the city.